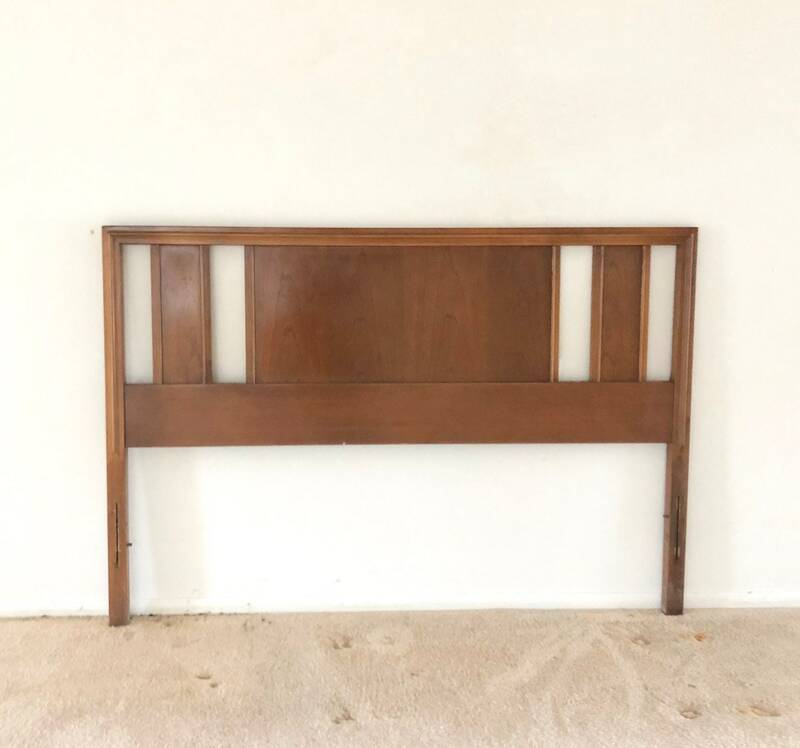 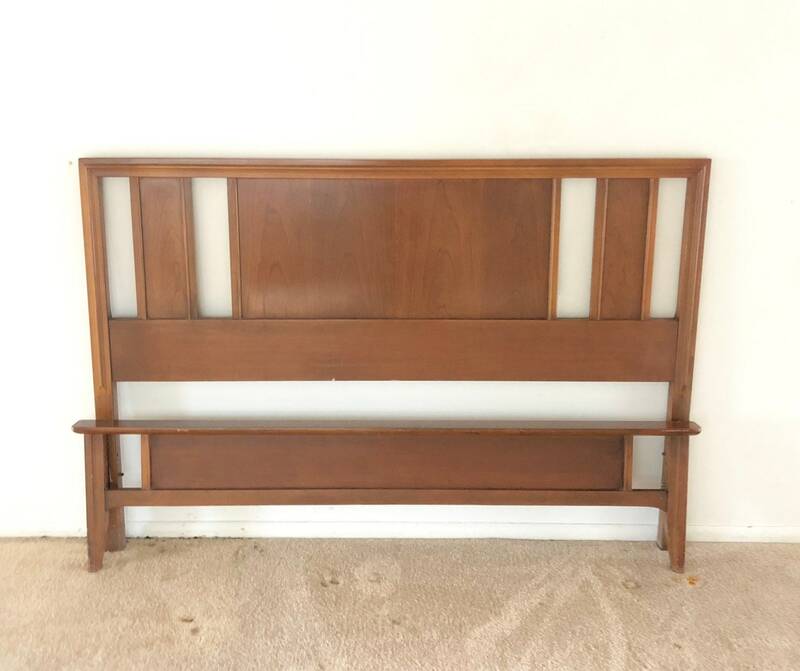 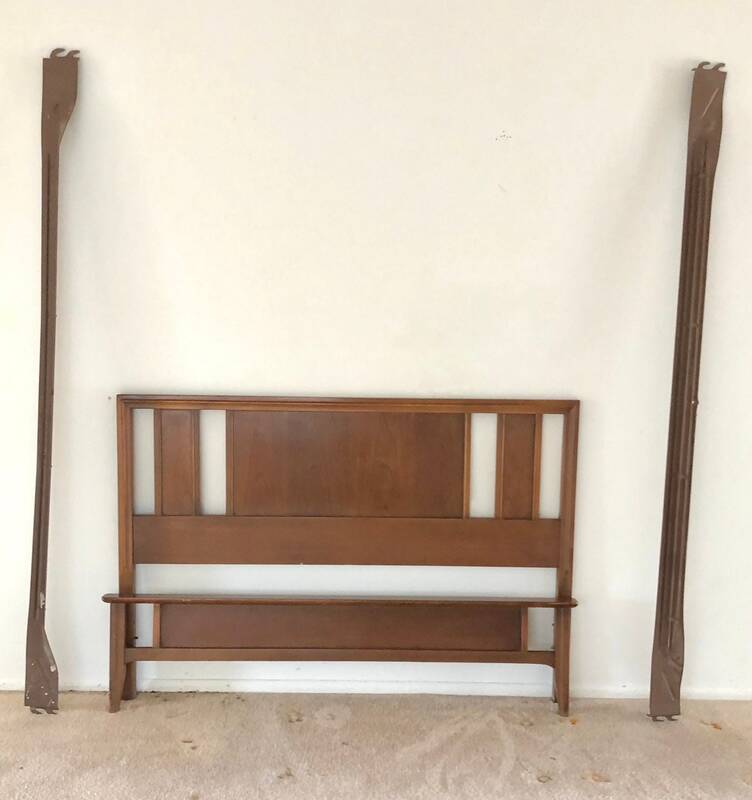 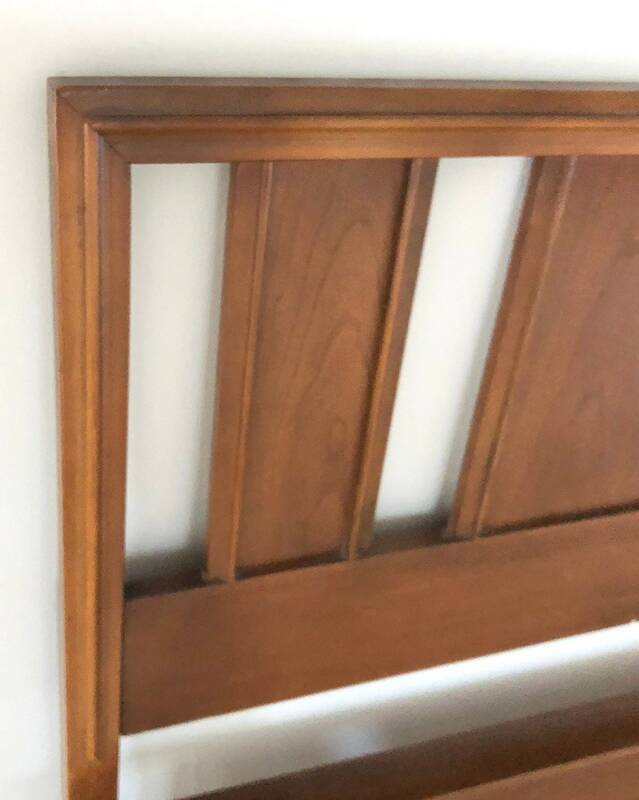 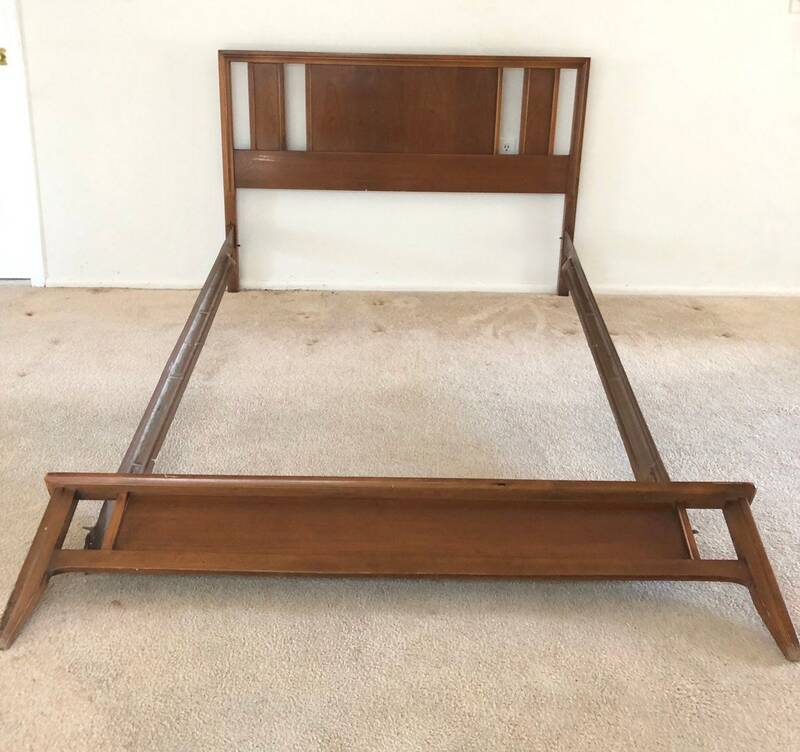 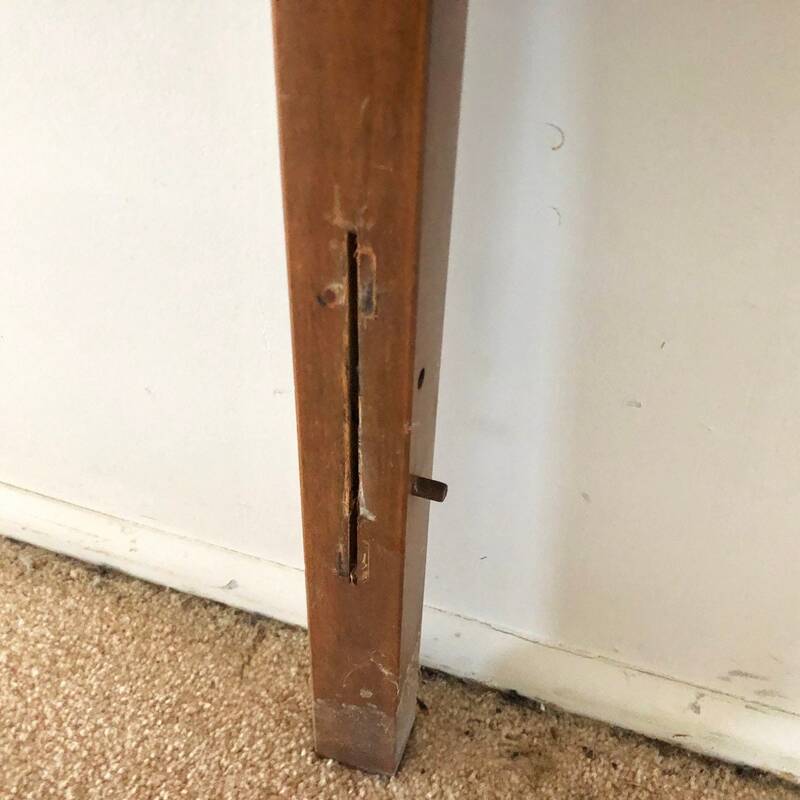 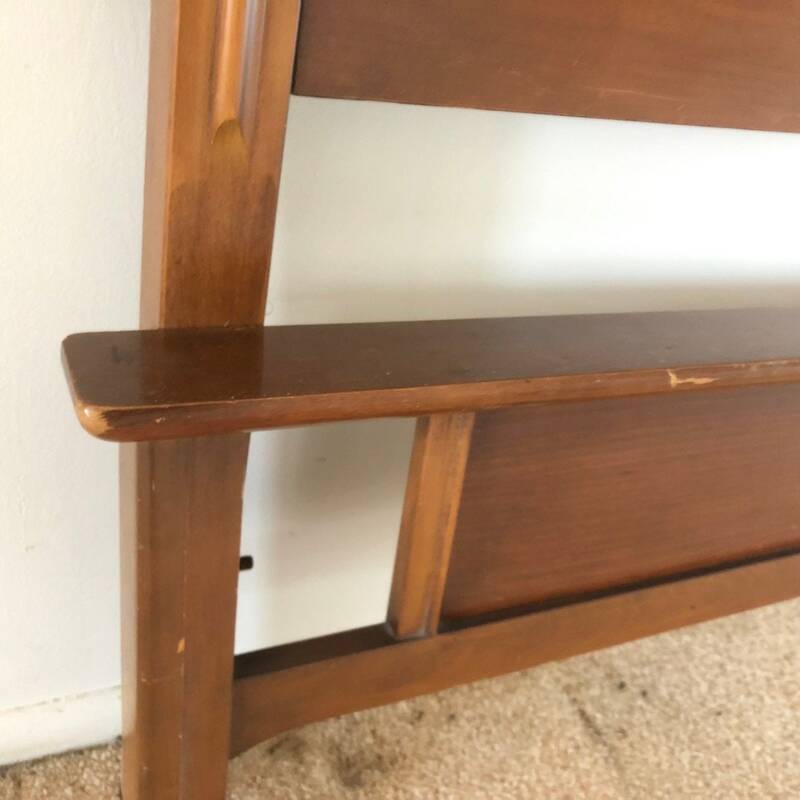 This mid-century modern full size bed includes vintage walnut finish headboard, metal side rails, and matching footboard. 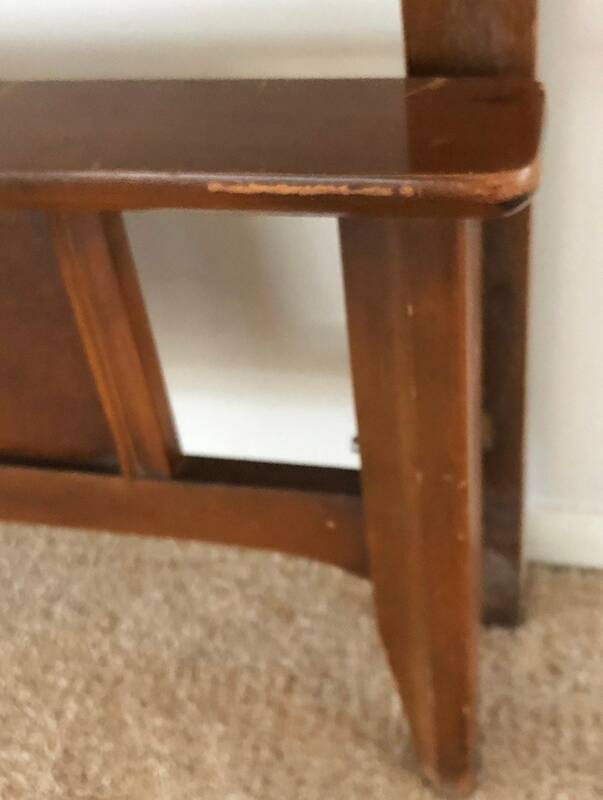 Matching highboy dresser, vintage low dresser, and pair of nightstands also available. 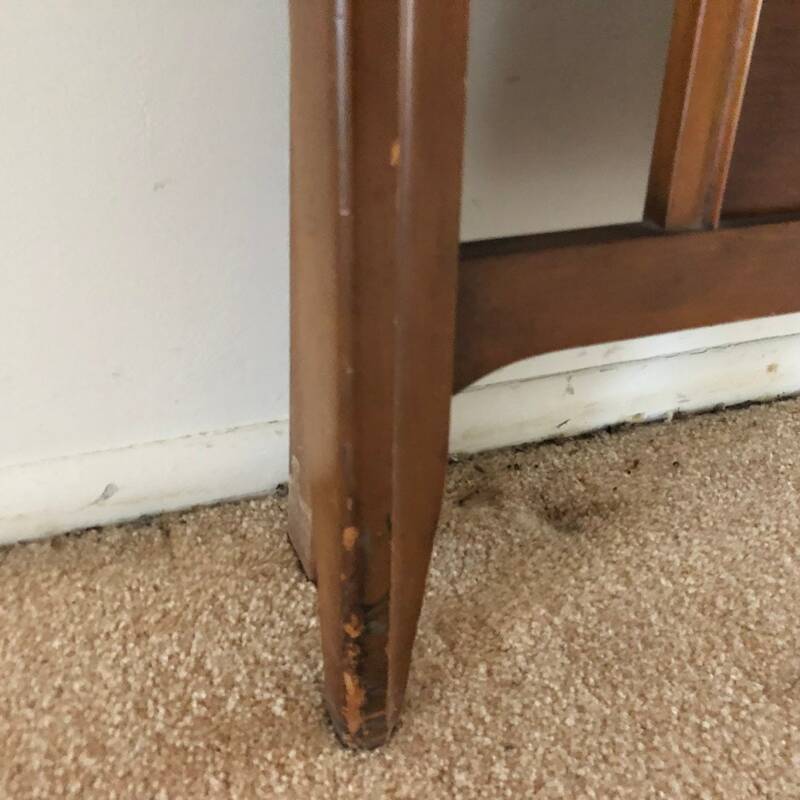 Condition: age appropriate wear, original finish worn, some scuffs/scratches/edge wear, dings/chips/veneer damage. 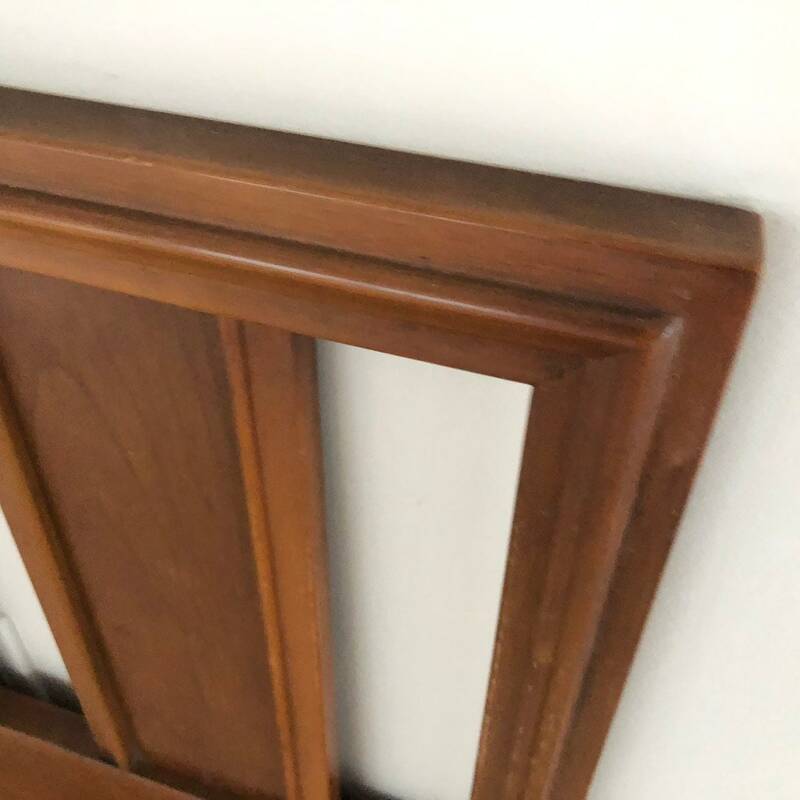 Shipping: Shipping Quoted is a PLACEHOLDER- please send your zip code BEFORE PURCHASE for an accurate quote!